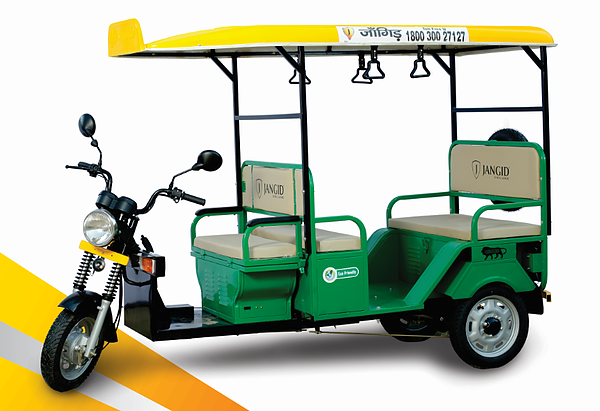 Jangid Delux is the basic and simple yet powerful e-rickshaw provided by Jangid. It can run upto 100+km with a single charge. It has a seating capacity of 4+1. It can be used in zoos, parks, exhibition ground, amusement parks, various markets. It is enabled with security feature like ignition switch with handle locking. It comes with 3 free services and 2 years warranty.